#OrganicSeptember may be over, but that does not mean choosing organic options comes to a stop! While food and drink are becoming more and more widely available in high street shops, beauty and personal care can still be a hard find. Luckily, retailers like Love Lula make it much easier and have a wide offering so you can make all the switches, from period products to makeup, in one simple shop! But where to start?? 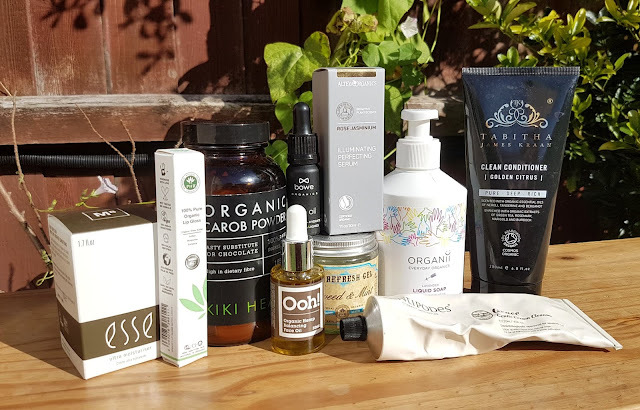 How do you know that what you are getting is properly organic and not just the sweeping and misleading 'with organic ingredients' statement many brands have started plastering on the front of their labels? 1] Check for certifications: this is not as simple as it sounds on the surface, but it is pretty easy if you know what to look for! Each country has their own certifying bodies (such as Soil Association, BioGro, EcoCert...) and set of regulations, so there are a lot of organizations to choose from. Some have natural AND/OR organic criteria that need to be met, and some focus solely on the farming aspect. However, a quick Google check can answer any questions you have about any labels you are unsure about. The most common bodies in my experience are COSMOS, EcoCert Organic, NatTrue Organic, Soil Association, USDA Certified Organic, AsureQuality, and BioCert. If you see these labels, you can trust that the product you are looking at has met a variety of requirements and has been accredited according to strict standards. And guess what -- Love Lula has an entire section dedicated to the UK's leading food and farming charity and organic certification body, Soil Association! That way, you can search for sustainable brands that value integrity all in one place. 2] Transparency: if a brand claims to be organic but does not have the certification to back it up, check into the brand's ethos and mission, scan the ingredient label, and read through their FAQ section if they have one. Organic certifications are expensive and time consuming, so many small artisan businesses chose not to go that route, at least when starting out. However, that does not mean that they have not adhered to the regulations to create a high quality, nontoxic product. If the label represents primarily organic/organically derived ingredients, that is a great sign. Also, check the company shows a strong dedication to environmental impacts and is incredibly clear about how and where they source ingredients from. IN that case, chances are they are the real deal. If, however, they make vague promises or skimp on detail, odds are they are just jumping on the bandwagon and trying to score some extra sales from the green community. Still unsure? Send a quick email and just ask for clarification -- an ethical business will take the time out to reassure you about any claims they have made and explain in detail! 3] And if all else fails, just shop the following brands! I have tried a LOT of these brands, and have been impressed by most of what I have used. I love how even a budget brand like Balm Balm creates high quality skincare -- you don't have to pay an arm and a leg for organic beauty anymore! 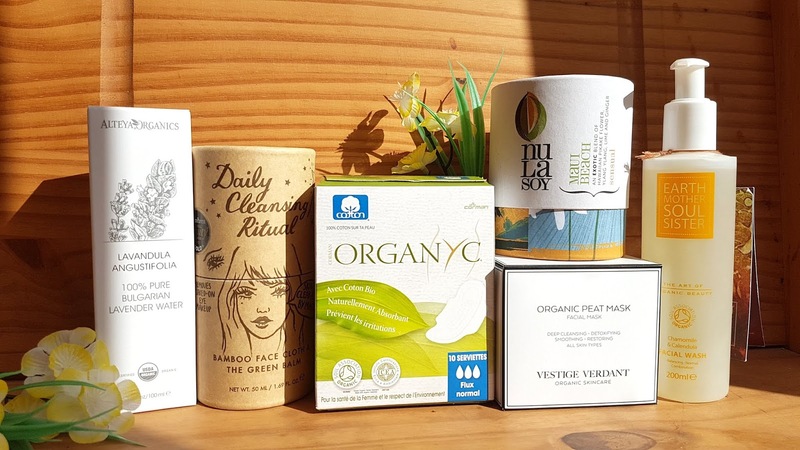 Some of my favourite organic products from Love Lula at the moment are the MOA Green Balm, Vestige Verdant Organic Peat Mask, Nula Soy Maui Beach candle, Earth Mother Soul Sister Chamomile and Calendula Facial Wash, Organyc Sanitary Pads, and the Alteya Organics Rose Water. What organic goodies have you tried and loved in the past? I would love to get more ideas of things to try! Thank you for posting a list of brands, that makes things super easy! I will definitely be checking some of these out as I've never heard of any. I'm currently in the market for a new make up remover, any of these you would recommend? This is really helpful, especially now that brands are trying to use organic as a buzzword without really following the principles! I'd never thought to check out the credentials before, to be honest. If a brand said it was organic, I had never thought to look into that a bit more! Great ways of making sure you're getting exactly what you're paying for. I've never heard of love luna before! Thanks for making it easier and clearer to see if a product is really organic! I remember discovering how many chemicals were in standard tampons, and being alarmed at what I was allowing into my body! It's great that there are organic alternatives out there these days. I love this, especially the list of brands, some of which I haven't come across before so thank you! There are some lovely brands on Love Lula. I must treat myself. That's so helpful, thank you! And a dedicated section in a shop, or at least the ability to filter categories and results appropriately, makes it so much easier to buy organic.